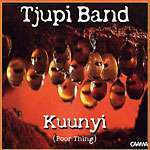 "Tjupi" means honey ant. 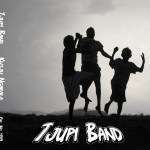 The band sings in Luritja and English. 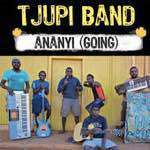 Tjupi Band has been described as epitomising Central Australia desert reggae--sparse, upbeat, driving kick and snare, in-language; the songs are about loneliness for country, love lost, listening to elders, following tradition, social issues, skin pride and tribal unity [[#1 'NT tour beckons for Papunya band', Koori Mail 503 p.59]]. Band members: Barnabus Daniels (Lead Singer), Jason Butcher (Guitar), Malcom Karpa (Rhythm Guitar / Backing Vocals), Jeremiah Butcher (Keyboards), Lesley Pearce (Keyboards), Dwayne Abbott (Backing Singer), Desmond Inkamala (Drums), Ethan Macdonald (Bass Guitar / Backing Vocals).